Leeds is home to one of the most eclectic mixtures of architecture in the country, with there being plenty of different styles from different time periods on display, all within a small radius. There is everything from Gothic-style to brutalism and beyond. Here at Taybell, we are based in Leeds and have been for over five decades so we have a good grasp on the best landmarks in the city. We’ve put together a guide of a few of our favourites below. 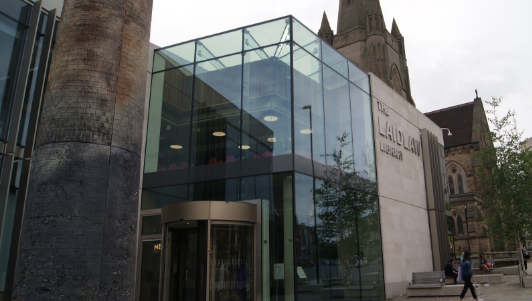 The Laidlaw Library is one of the most recent additions to the University of Leeds, and is sandwiched between two very traditional churches, which accentuates further the striking facade of the building. There are strong, geometric lines that have been carved out in stark concrete and floor-ceiling windows, which helped the building to win awards from the Royal Institute of British Architecture. 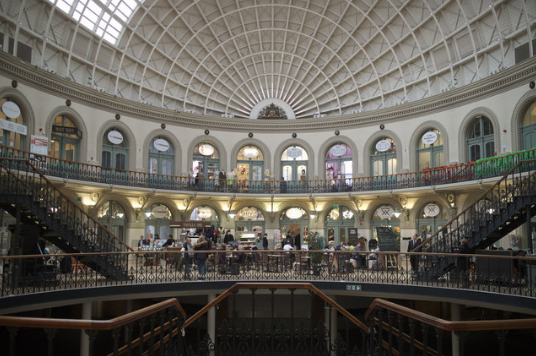 Perhaps one of the most iconic buildings in the whole of Leeds, the Corn Exchange is a structure with visual prowess and historical significance. Dating back to 1864 and playing a key role in corn trading in Leeds, the building was designed by Cuthbert Brodrick with Italian-themed masonry and an iconic, domed roof. This is also one of only three corn exchanges in the country that continue in their intended capacity (as a hub for trade), even if it no longer has anything to do with corn. The space is vast and, with floors one and two being mezzanines, visitors can experience the sheer scale of the Corn Exchange from the ground floor. 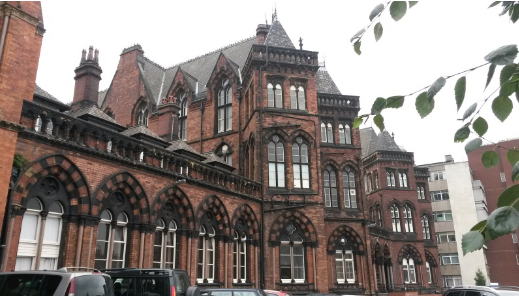 An unlikely candidate for landmarks is another Victorian building – Leeds General Infirmary. Designed in 1868 by Sir Gilbert Scott, the Venetian, gothic-style facade is a fan-favourite thanks to a detailed facade and grandiose, arched windows. Arguably the building with the most impressive accolade in all of Leeds, Broadcasting Place is a complex building made of corten steel designed to weather for an interesting patina that was voted as the best tall building in the world in 2014. 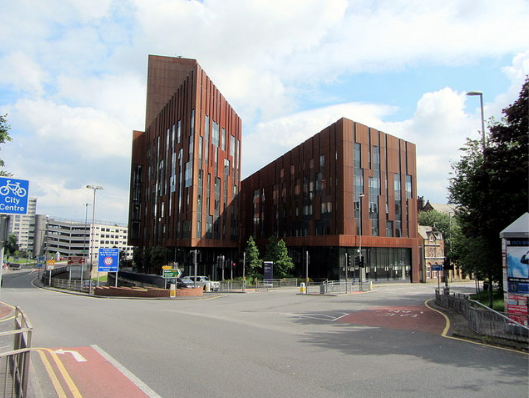 The Leeds Beckett University building was designed by Feilden Clegg Bradley, is 70m tall and used as student accommodation at the university. Futuristic, post-modern, and unique, the Roger Stevens Building is a showcase of brutalist architecture in Leeds. 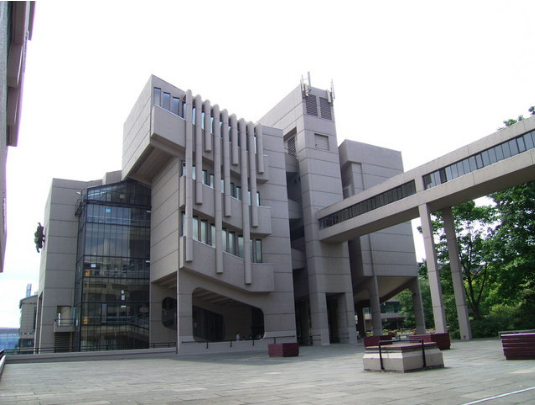 Designed by Chamberlain, Powell and Bon for the University of Leeds, the building has featured in Doctor Who and even inspired London’s Barbican Theatre. There are 25 lecture theatres in the building, which recently underwent interior renovations that pair the bold and brutalist exterior with a modern interior, making it one of the most significant and striking buildings in Leeds. Leeds is a city with a diverse and eclectic mixture of architecture that makes up a pool of impressive landmarks. There is something for everyone – whether your taste in architecture is minimal, classic, or post-modern. With a building you’re proud of, you want to make sure it’s protected. Here at Taybell, we help domestic and commercial customers alike keep their property and their possessions safe with security systems throughout Leeds. If you would like to hear more about what we can do for you, please contact us by calling 0113 230 4018 or filling our out simple contact form.